During the 4th quarter of the NFC Championship game, Carolina Panthers LB Luke Keuchley intercepted a Carson Palmer pass and took it to the house. As Kuechly was celebrating with the fans, one of the fans flipped head over heels onto the field. New York Islanders captain John Tavares seemed like he just wanted it. 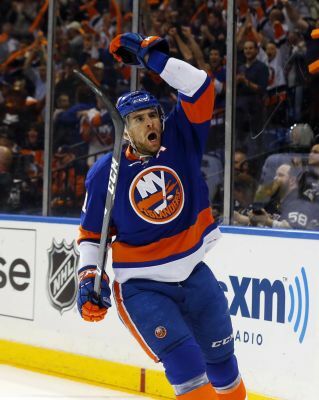 After trailing 2-0 to start the third period and then 3-1, Tavares and company scored three goals in the third, and with under 30 seconds left in overtime, Tavares took the puck at center ice and put on his own personal highlight show.